It’s the 21st century- the time we claim that modern civilization will reach a new high. So isn’t it time that we finally set this ‘women aren’t paid equally’ issue behind us and just give equal pay for equal work? This is what Equal Pay Day is all about. Throughout the 20th century, there has been an ongoing and active fight in order to solve it. This problem that has existed far longer than that. Since time immemorial, women have been paid lower wages for doing the very same job. Equal Pay Day encourages you to get out there and fight for true employment equality for everyone! Isn’t it time women were paid what they were worth? In 1996 the National Committee on Pay Equity decided that there must be a day dedicated to bringing awareness of the ongoing issue with the gender wage gap. The gap is actually caused by a number of factors. But they are factors that are directly related to the issues and choices created by society for women. One of the most prevalent factors in deciding who gets a job when two applicants are equally matched in all other aspects is gender, with men getting preferential treatment for positions when this comes up. This is particularly true where the job in question is considered high pressure or high risk. All of this comes together to result in women earning just 79% as much as men in the same position. If this were merely an American problem, it would still be worth addressing. The sad fact is that this issue exists in many of what are considered first world countries like Germany. The date to commemorate this day changes not just year to year, but from country to country. 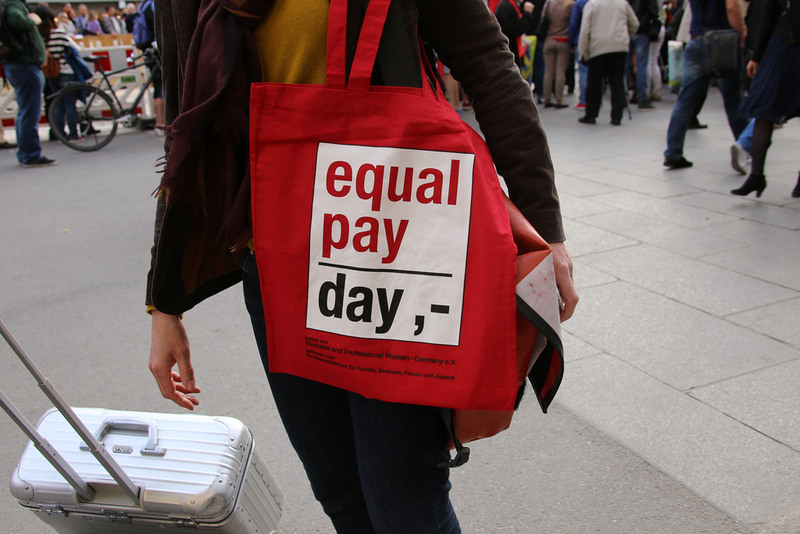 Equal Pay Day is set on the day in the year when a woman would have finally caught up with her male contemporaries wages from the previous year. As this varies each year, and in each country, they don’t always line up. Equal Pay Day is best celebrated by helping to raise awareness of the ongoing struggle women have with getting equal pay for equal work. Poll your contemporaries at work and find out what their wages are. Find out if they are getting paid equally for the same job you do. If you find any imbalances that are clearly gender-related, take it to your employer. Ask how this wage difference was determined and see about getting it remedied. Nowadays, corporate world is taking this issue seriously. One such example is that of Sara International, one of the eminent jute, cotton-canvas, juco bags manufacturers, suppliers & exporters, believe & practise equal pay for its employees irrespective of gender, nationality or religion.